Knjiga “Kako do posla u 21. 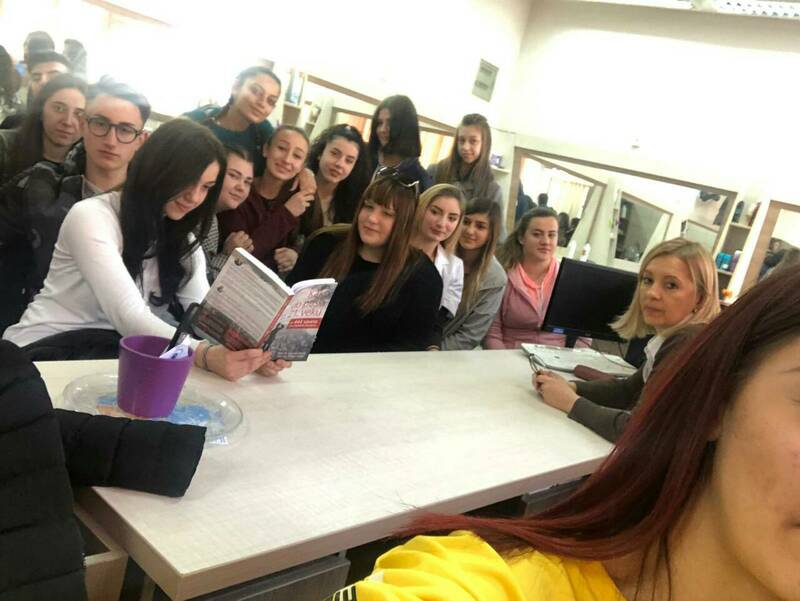 Veku + 444 saveta za uspešnu karijeru” pozntih autora Dragana Varagića i Valentina Kuleta, stigla je do biblioteka još 11 srednjih škola. Još jednom su đaci iz različitih delova Srbije imali priliku da se upoznaju sa ovim izuzetnom štivom. Udruženje Živojin Mišić, zajedno sa Draganom Varagićem i Valentinom Kuletom, podelilo je prve primerke ove knjige još 2016. godine, kada je i započet projekat kroz koji će svim srednjim školama u Srbiji pokloniti po nekoliko primeraka „Kako do posla u 21. veku + 444 saveta za uspešnu karijeru“. Cilj ovog projekta jeste da upoznamo mlade sa ovom knjigom, čija sadržina govori o zapošljavanju u 21. veku na jedan nesvakidašnji način i deli sa čitaocima razmišljanja koja su postala naša stvarnost. To je razlog zašto smo odlučili da baš ovu knjigu poklonimo srednjoškolcima i tako im pomognemo da što pre spoznaju realno stanje na tržištu rada i šta sve može od njih da se očekuje u modernom vremenu. Knjiga sadrži, kako i sam naslov nagoveštava, 444 saveta za uspešnu karijeru koji mogu pomoći ne samo da stignete do uspeha, već i kako da ostanete tu i ostanete. Ovoga puta smo prosledili primerke knjiga u 11 srednjih škola u zemlji, a naši Najbolji edukatori Srbije i ljudi koji veruju u ovaj projekat su nam pomogli da se za nju još dalje čuje. Imali smo prilike da čujemo brojne pozitivne komentare. Učenici pet beogradskih srednjih škola dobili su svoj primerak knjige i to, učenici iz Ekonomske škole “Nada Dimić”, Tehnoart Beograd, Muzičke škole “Kosta Manojlović”, Farmaceutsko-fizioterapeutske škole Zvezdara i Zemunske gimnazije. Beogradske srednje škole bogatije su za 43 primerka ove knjige. 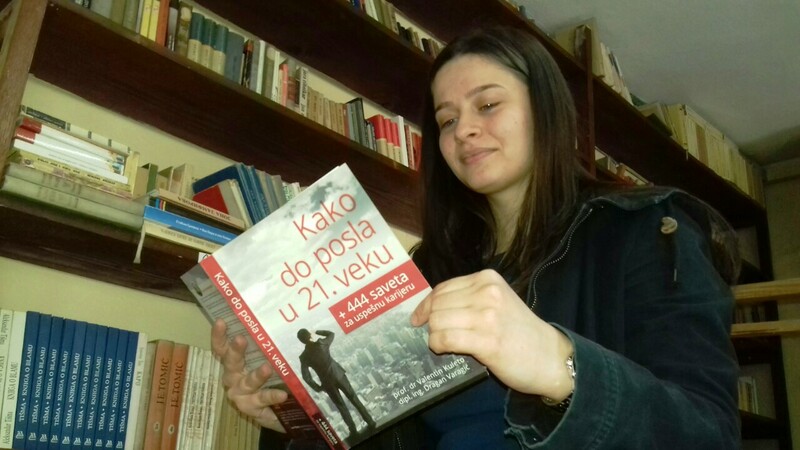 Učenici medicinske škole “Dr Andra Jovanović” iz Šapca, čija biblioteka sada poseduje 8 primeraka ove knjige, takođe imaju priliku da iskoriste sjajne savete koji se pružaju čitaocima. Karlovačka gimnazija dobila je 14 knjiga za učenike završnih razreda, u nastavku su njihovi komentari. 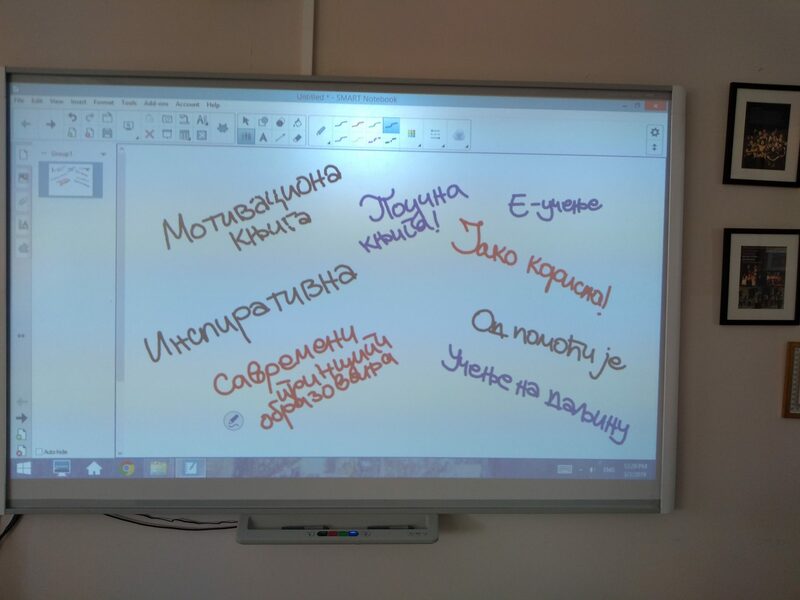 Paraćin je imao priliku da se u Tehnološkoj školi pronađe 10 primeraka ove knjige. Želimo im da prošire svoje preduzetničke ideje uz pomoć saveta koje će pročitati. Ekonomsko-trgovinska škola iz Kule i Poljoprivredna škola “Šumatovac” iz Aleksinca dobile su ukupno 12 primeraka “Kako do posla u 21. veku + 444 saveta za uspešnu karijeru”. Još jednom želimo da se zahvalimo sjajnim autorima ove knjige Draganu Varagiću i Valentinu Kuletu na izuzetnoj saradnji. Potrudili smo se da svaka srednja škola u Srbiji ima svoje primerke knjige, a uspeh ovog projekta merićemo kroz broj učenika koji su je pročitali i koji su primenili dobre savete. 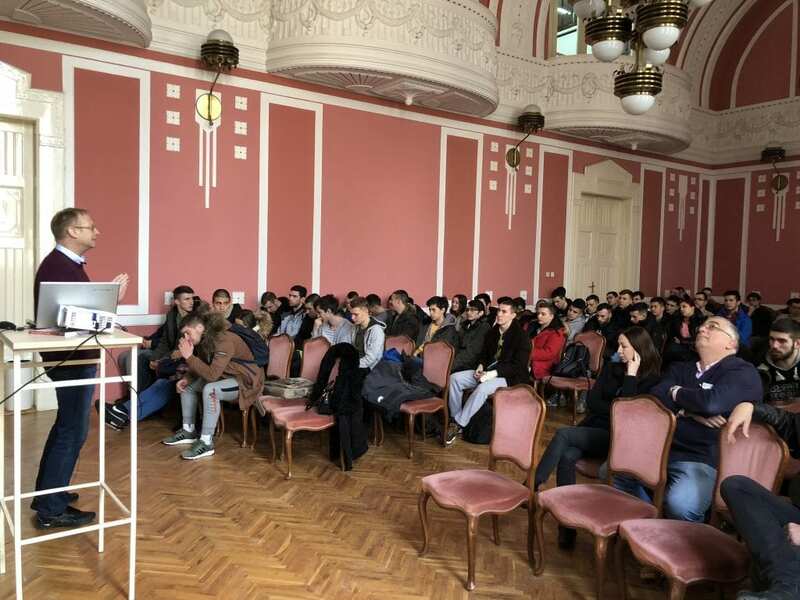 Today, on February 27th, 2018, the lecture of Dragana Varagić, one of the authors of the book "How to get a job in the 21st Century + 444 tips for a successful career" in front of 150 students, was held in the hall of the Electrical Engineering School "Mihajlo Pupin" in Novi Sad. 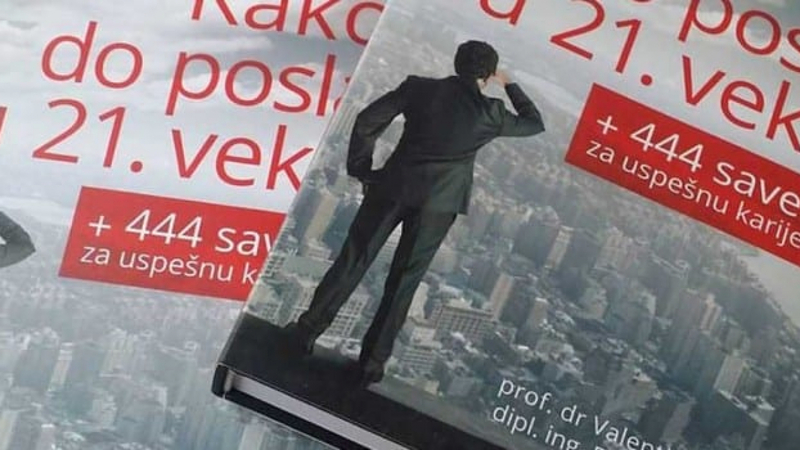 Dragan Varagić and Valentin Kuleto wrote the book "How to Work in the 21st Century + 444 Tips for a successful career", and they focus on how to use formal and informal education today in order to get to the desired job. 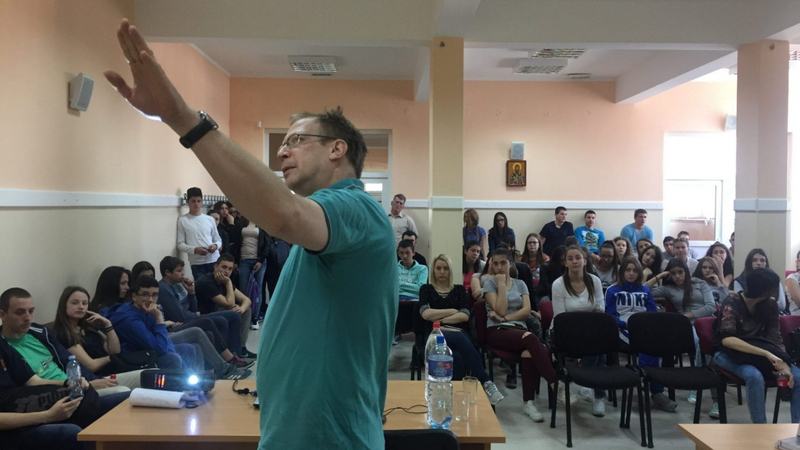 Students of this school received instructions and practical advice on how to work on their professional development, as well as 16 books for their library. We would like to thank once again everyone who attended and helped in the realization of this lecture. 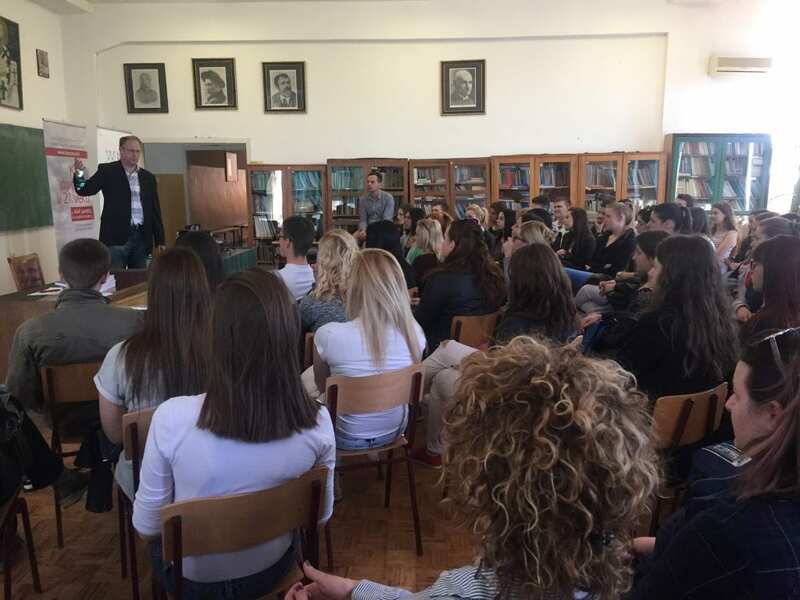 Today, October 3rd, at the ComTrade School in Belgrade, teachers, directors and pedagogues from the secondary Belgrade schools gathered to hear Dragan Varagić's lecture on the topic of employment in Serbia. 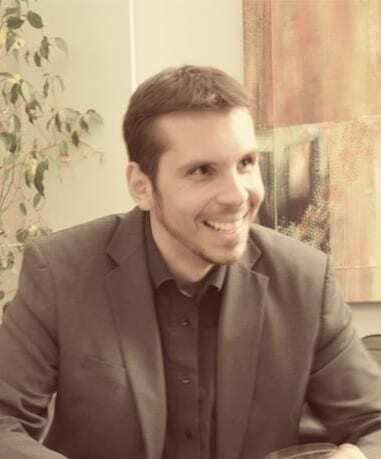 Dragan Varagić is one of the authors of the book "How to get a job in the 21st Century + 444 Tips for a successful career" and within the project “How to get a job in the 21st Century” he travels across Serbia to provide additional knowledge and open new opportunities for high school students. 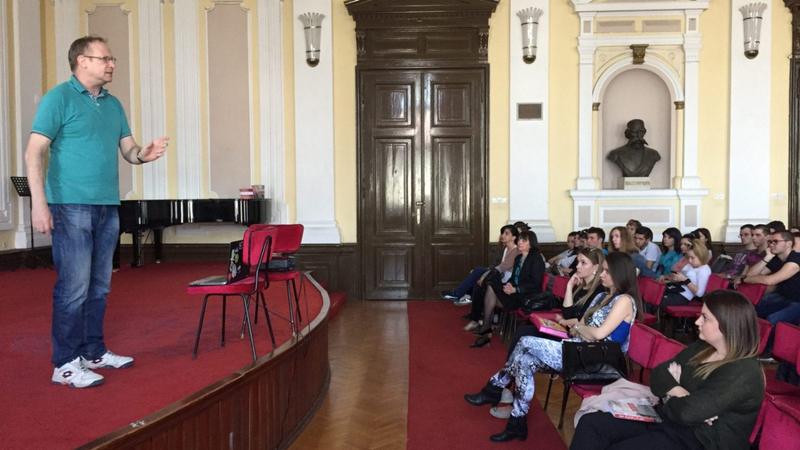 As he came to Belgrade, this time we made a lecture for directors, educators and teachers of secondary schools. 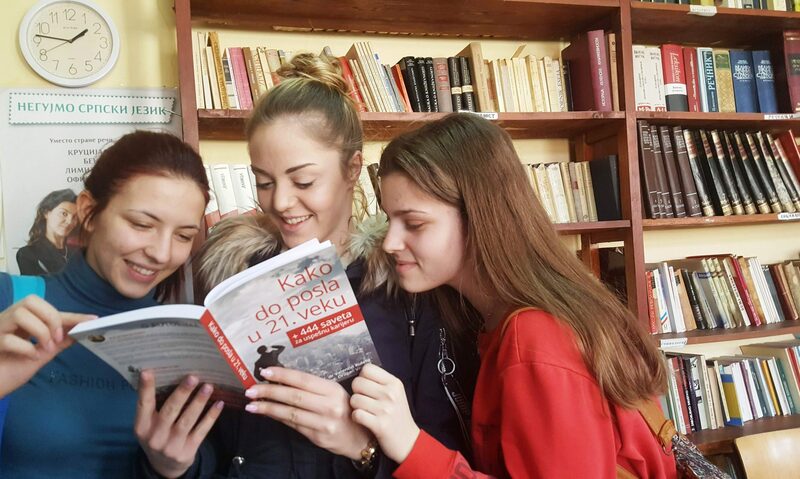 Our plan is to visit Belgrade high schools by the end of this school year and encourage students for reading this book, that we believe can be valuable to them. After the lecture, a panel discussion on the topic "Modern education today" was organized in order to answer the questions that are additional solutions for our education system, and what we need to change, so we can have more ready high school students for the labor market as it is today. Nikoleta Rakocević, the owner of Queen Victoria Education and Translations School, an English professor and simultaneous translator, talked about how important understanding is in learning, not just reproduction; how important it is to encourage young people to think; and how important it is to organize their teaching in a different way. The topic of the labor market has started, and we talked about that how many jobs will we lose in the future, how important is the artificial intelligence etc. 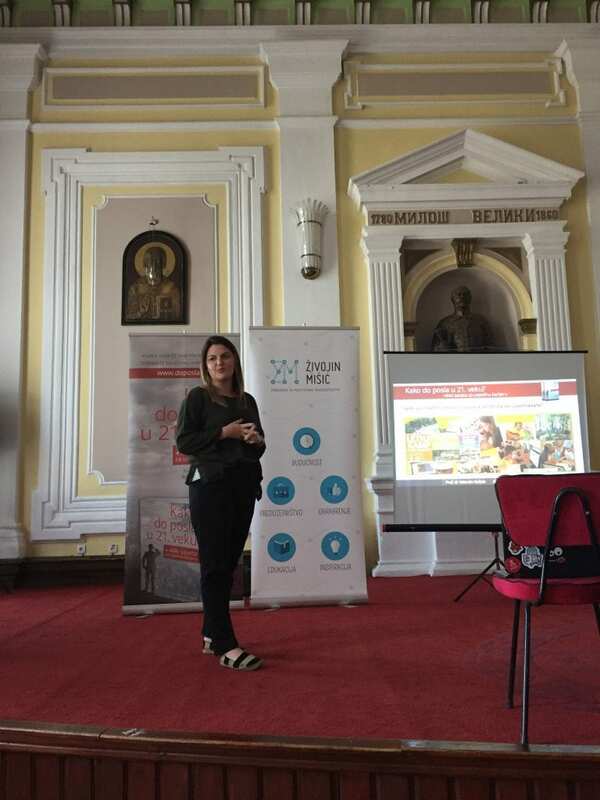 and Sonja Jovanović, the HR of Ernst & Young Company, also pointed out to programs being implemented in large companies that are adapted to high school students, how much they can learn from all this, and get the job they want. 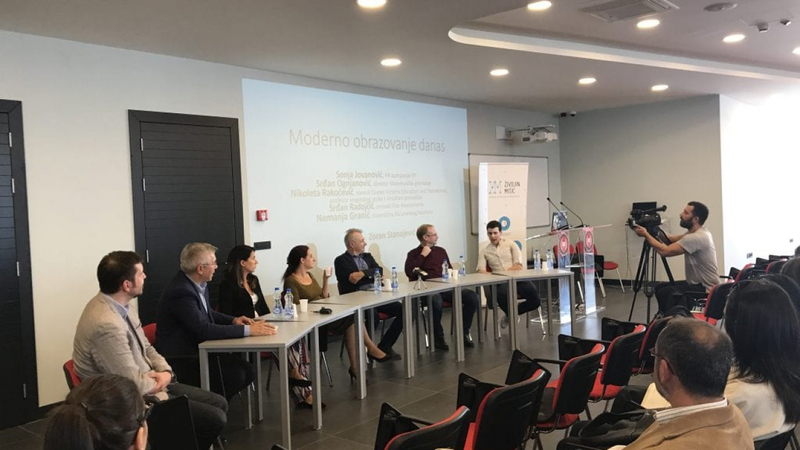 Srdjan Radojčić, the founder of One Assessment, said that people are being tested for modern jobs today in so many ways, that social networks are also relevant. Today everything is talking about us, not just formal education and diplomas. 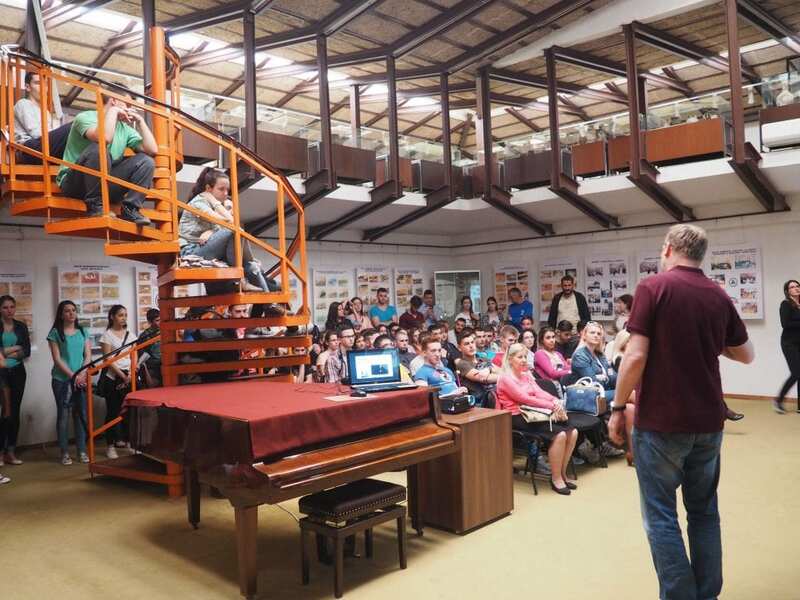 Speaking of different education systems, education in Finland, Singapore, Japan ... Srđan Ognjanović, director of the Mathematical Gymnasium, also referred to the need to think about how to educate children today that will work until 2070, and he said we need change according to the time. In fact, we, professors have a key, and what kind of education we provide to the younger ones, will start from the teachers. And the youngest, yet completely equal panelist Nemanja Granić, who is today a scholarship student at the Faculty of Computer Science, gave his view of this problem, because until recently he was a high school student. What he sees from his perspective is that faculties and high schools can give width, but that each one is responsible for his future, and that if we are not proactive, no one will be instead of us. And that's precisely what we want, we want to wake up everyone. We believe that we have managed to answer some of the questions what knowledge and skills are required in the 21st century. 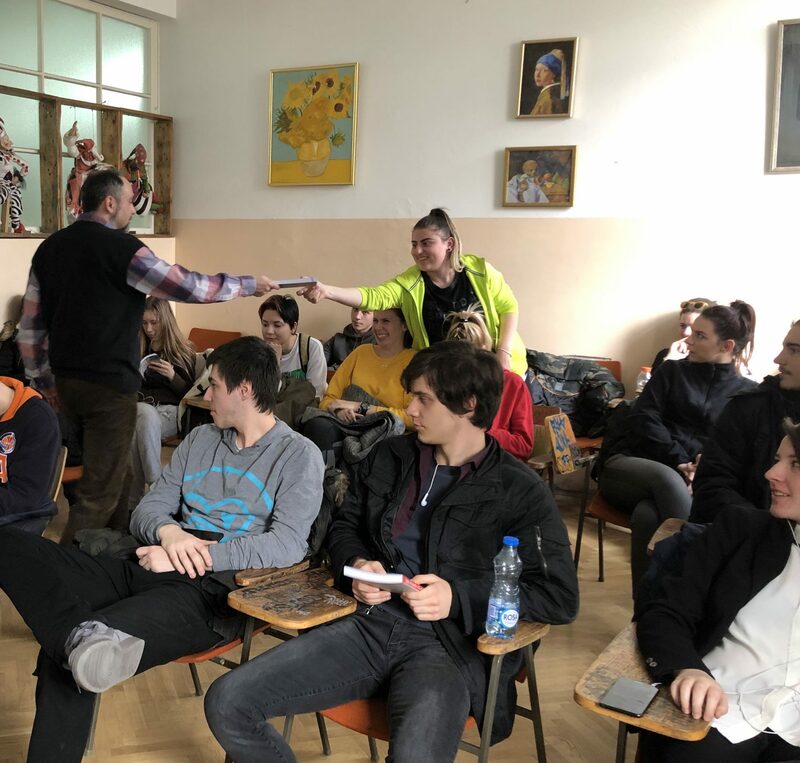 We are pleased that teachers, directors and pedagogues of secondary schools have been interested in a topic that we think is very important for our education. Thanks to all panelists who took the time to exchange experiences and tried to improve our society. 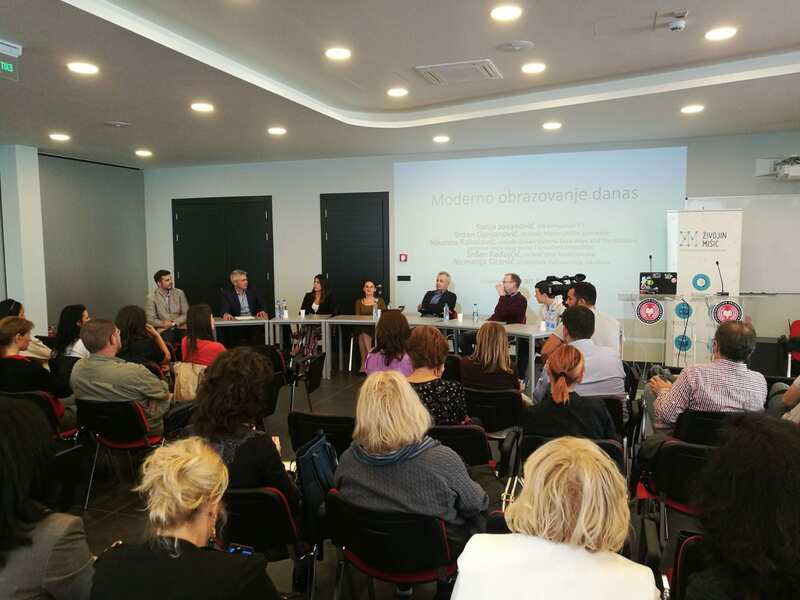 Thanks a lot to Zoran Stanojević who conducted us through this discussion, also the ComTrade School which gave us place for this event. You can see video from lectures and panel discussions here. 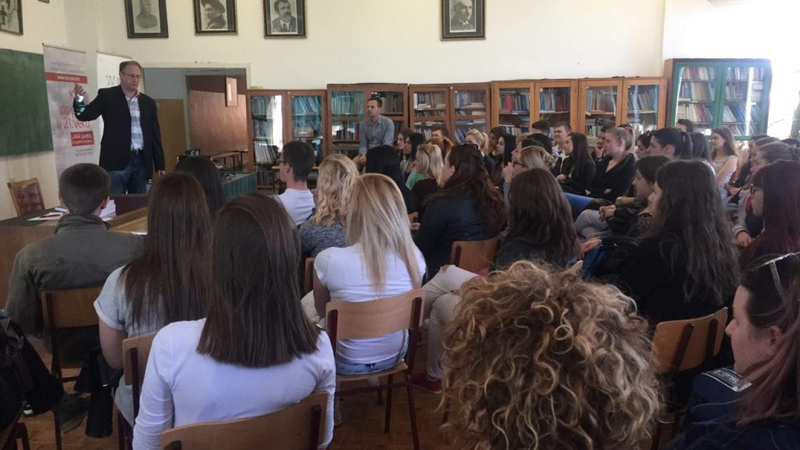 If you are intrigued to give a lecture to students in your school, please contact us via email info@zivojinmisic.rs. What are the easiest ways to get a job? What is the best choice for a school or college? How to know which job will be paid well? 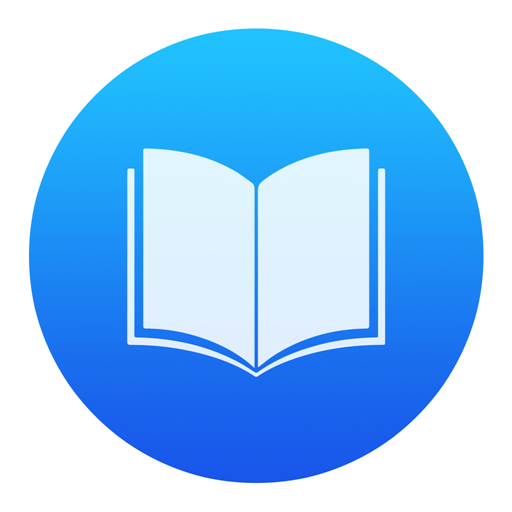 All these questions are those that were launched in the book “How to get a job in the 21st Century + 444 Tips for a successful career”, by Dragan Varagic and Valentin Kuleto. This book analyzes, in an unusual way, the situation on the labor market in our country and beyond, provides explanations and advice, suggestions and instructions on how to get ready for work and employment in the 21st century. 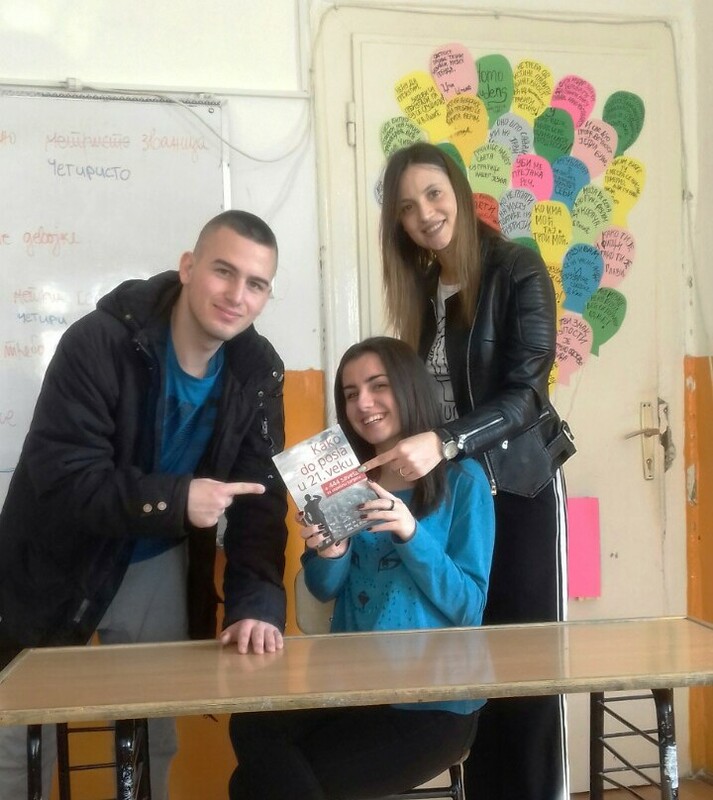 As we recognized this as a useful reading for high school students, we decided, in cooperation with authors, to share the same book with all high schools in Serbia. 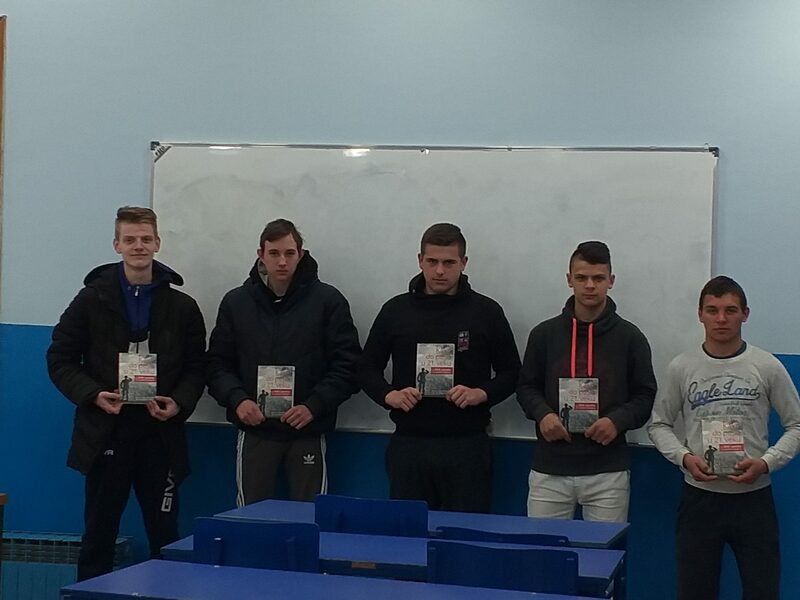 In addition, one of the authors of the book, Dragan Varagić, holds a series of lectures on the topic of employment through Serbia, for students of the final grades of secondary schools, and on that occasion schools from these places and the environment receive their copies of the books. 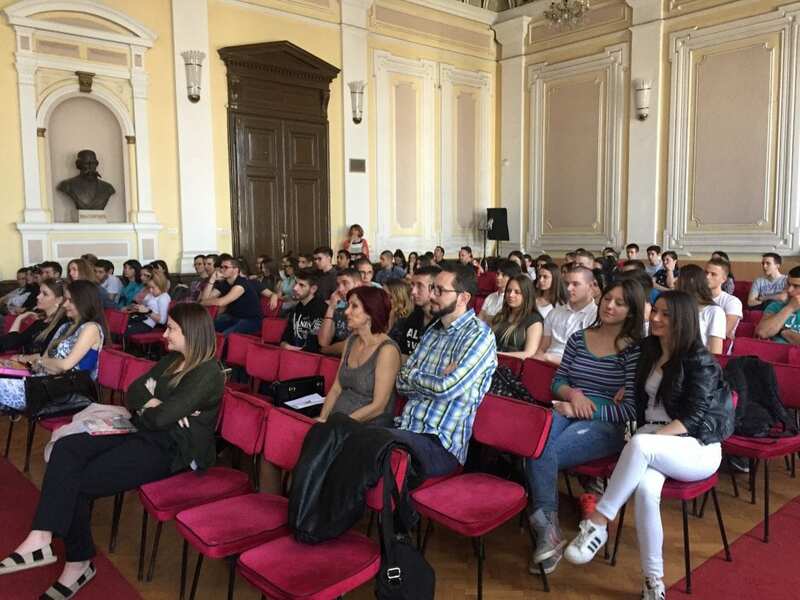 How Belgrade came to order, we decided to take a step more! 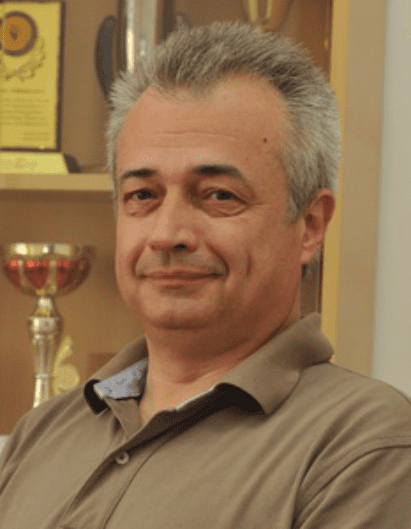 On this occasion, we want to invite all teachers of high schools in Belgrade, as well as directors and pedagogues, to Dragan Varagic's lecture at the ComTrade School (at Savski Nasip No. 7, Belgrade) on Tuesday, October 03rd, starting at 2 pm. Srđan Ognjanović, director of the Mathematical Gymnasium. 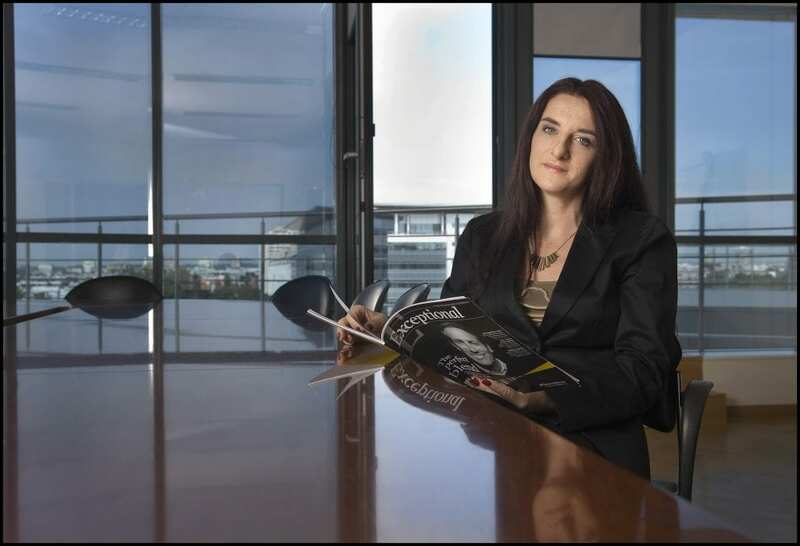 Sonja Jovanovic, HR company Ernst & Young. Nikoleta Rakocevic, owner of Queen Victoria Education and Translations, an English professor and simultaneous translator. Srđan Radojčić, founder of One Assessment. 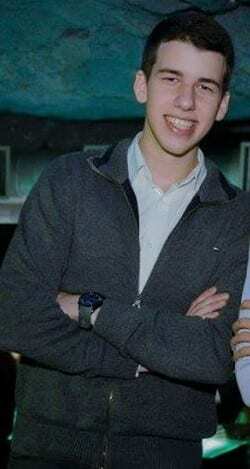 Nemanja Granić, a scholarship student at the Faculty of Computer Science. 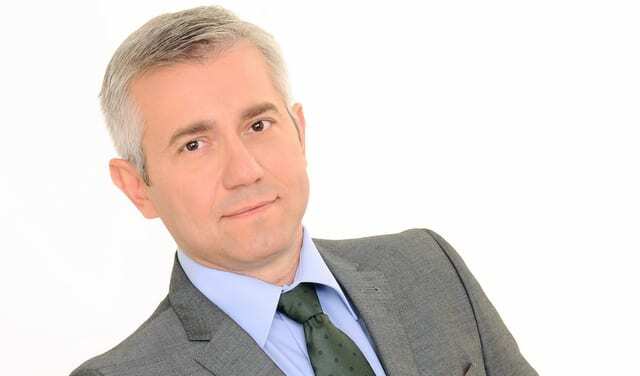 Moderator of the panel will be Zoran Stanojevic, RTS journalist. Our goal is to answer questions about what skills and knowledge are needed to do the work in the 21st century, and do our students who leave school have that knowledge? Also, since the lecture is intended for teachers, how can they influence to educate children more readily for the labor market? How all of us should overcome this problem as a system? How the education responds to this problem, what they face in big companies when young people came, where to offer them additional solutions, and how to succeed in a country like ours. We would love you to join us in class and panel discussion. After that, by the end of the school year, our plan is to hold a lectures in all schools where we would be able to introduce the students to this topic. How it was in lectures till now, you can look at the project's website. 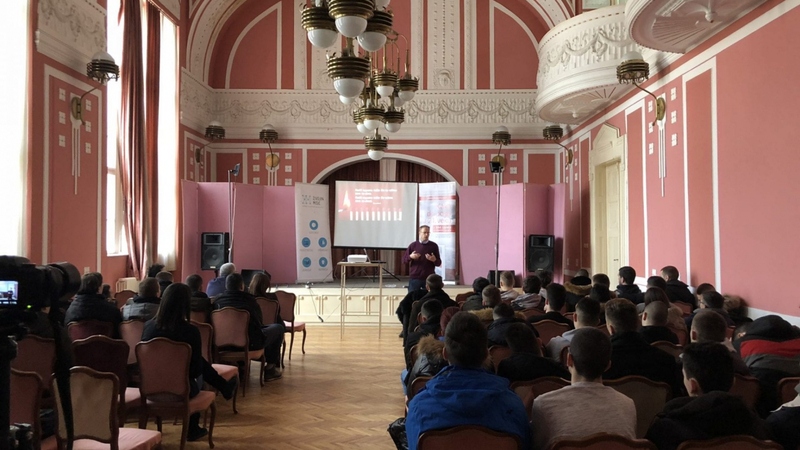 On Wednesday, April 12th, a lecture on topic "How to get a job in the 21st Century + 444 Tips for a successful career" was held in Bačka Palanka. Gymnasium "20. October ", Secondary Vocational School" Radivoj Uvalić"and Technical School "9th of May" from Bačka Palanka, as well as Agricultural School from Bač. received copies of books for their libraries. Thanks again to the Gymnasium "20. October" that hosted this lecture, and gave us the place for this. 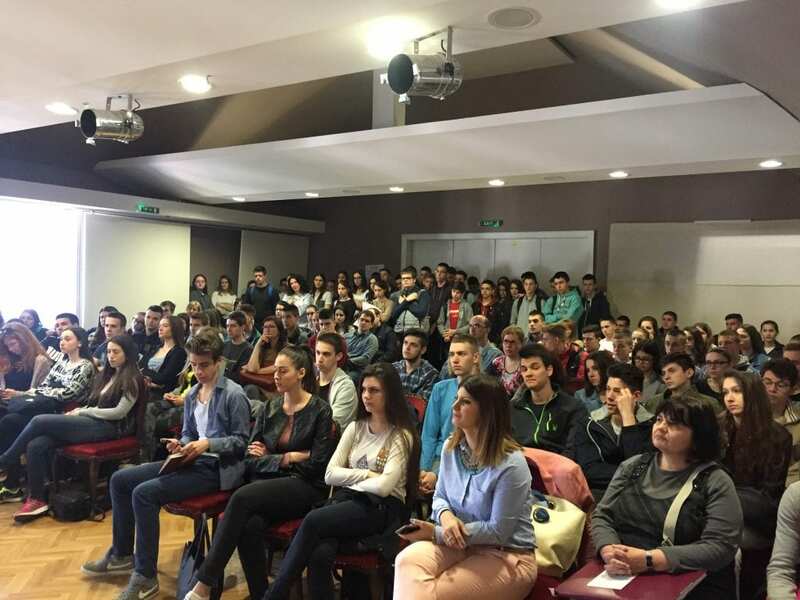 On April 12th, Novi Sad was the center of education for the students of its city, but also students from Sremski Karlovci, Temerin, Indjija, Vrbas, Bečej and Titel. 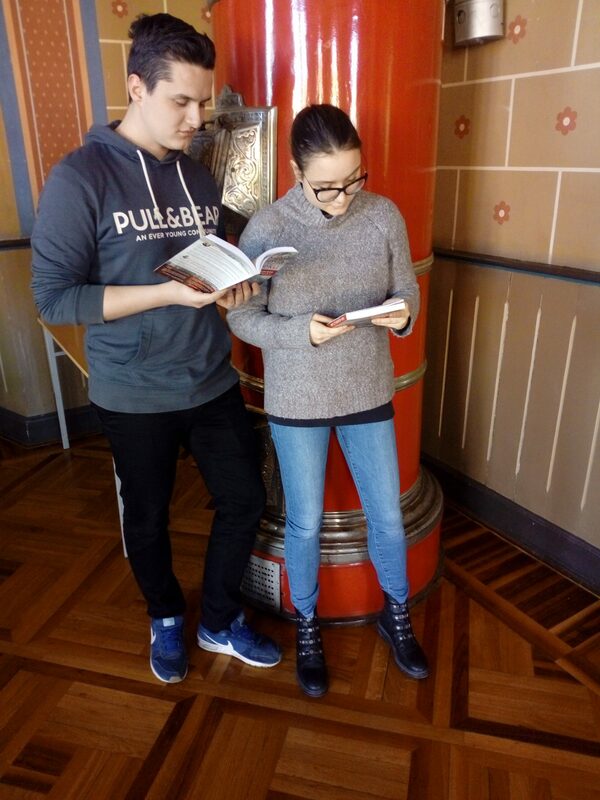 The high school "Svetozar Marković", "Isidora Sekulić", "Laza Kostić", as well as the Technical School "Pavle Savić", the Economic School, the Design School "Bogdan Šuput" received 54 books for their libraries. 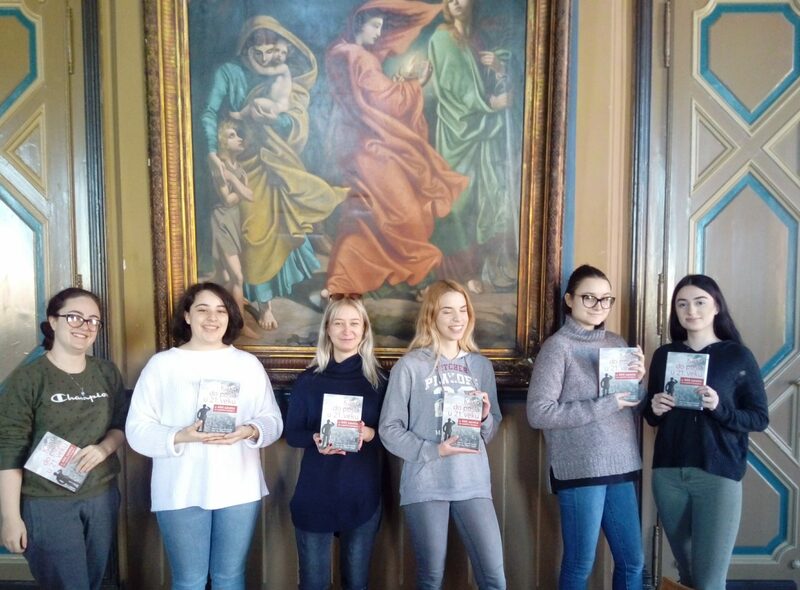 Karlovac Gymnasium and Secondary School for Tourism and Catering from Sremski Karlovci, Secondary School "Lukijan Mušicki", Secondary Technical School "Mileva Marić" from Titel, Gymnasium in Indjija and Secondary School "Djordje Natošević" received 24 books for libraries. 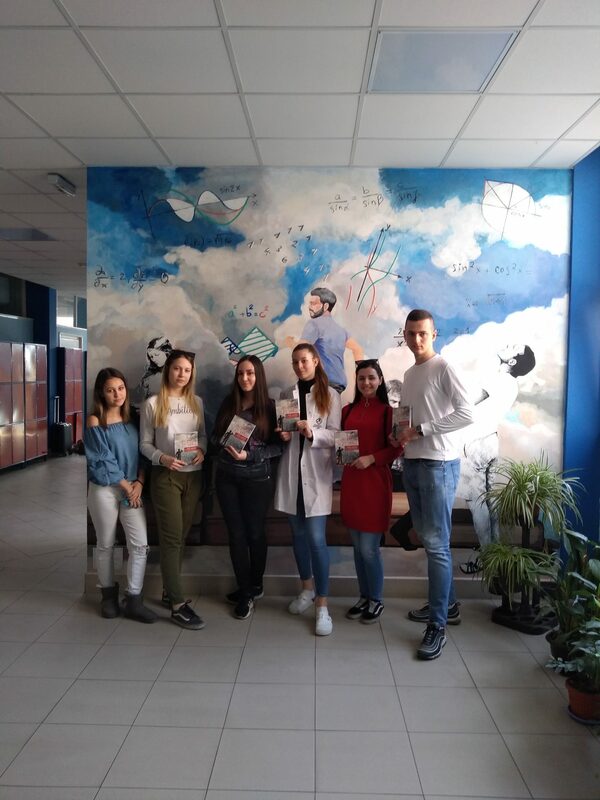 The high school "Zarko Zrenjanin" and the Secondary Vocational School on July 4 from Vrbas and the Technical School from Bečej received 19 copies of the books that are in their school library. As it was in the lecture, you can look ovde. 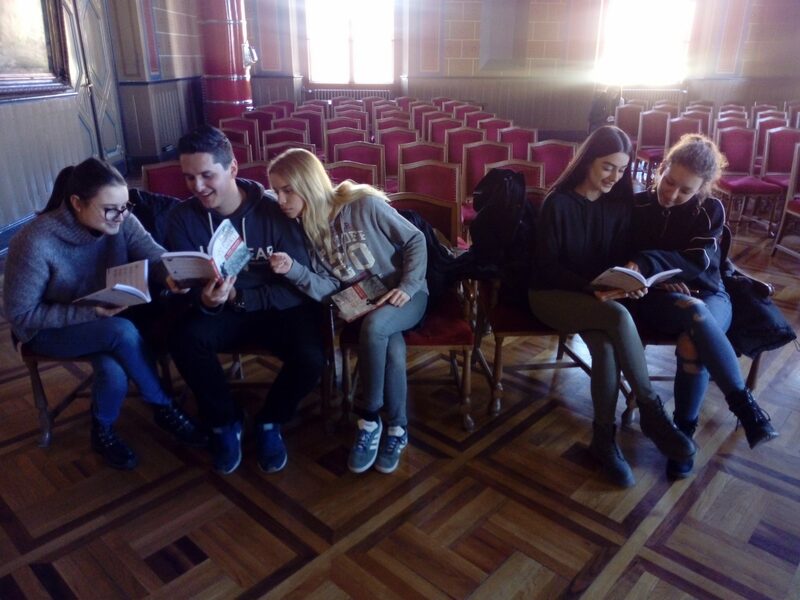 We are grateful to the Gymnasium Svetozar Marković from Novi Sad for helping in the organization and the allocated space for lecturing and sharing of books. 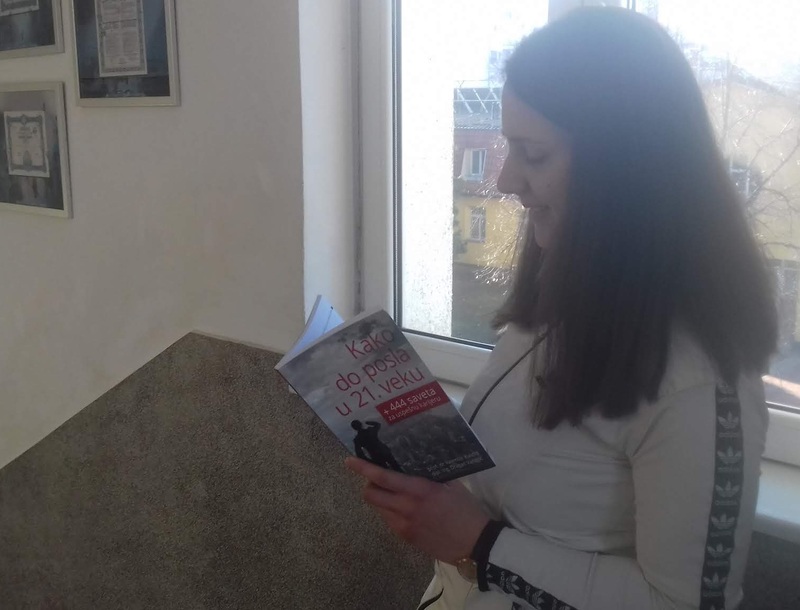 33 books were distributed to the Gymnasium, the Economic School of Commerce, the Medical and Technical School in Zaječar, as well as the secondary school "Nikola Tesla" from Boljevac and the Technical School from Knjaževac. We would like to thank the Technical School on the allocated space for lecturing and sharing the books. 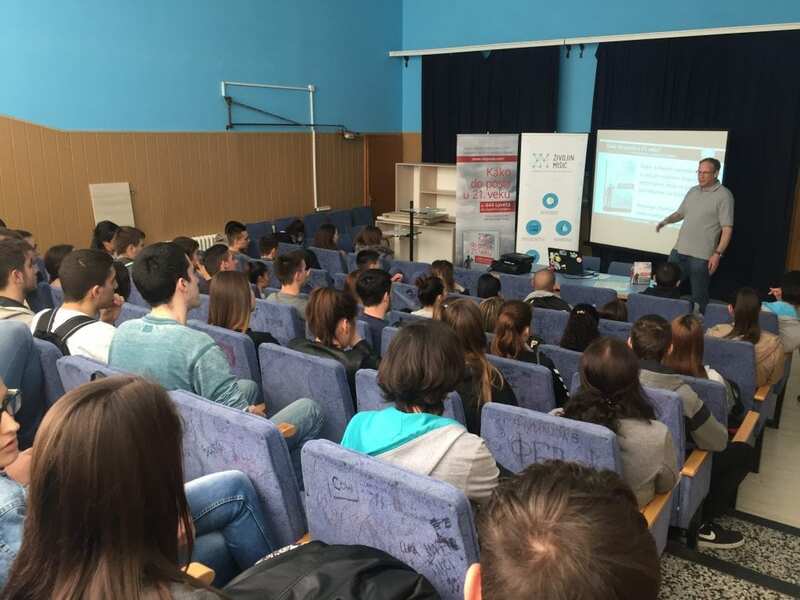 A lecture by Dragan Varagić, one of the authors of the book "How to get a job in the 21st Century + 444 Tips for a successful career", was held on Wednesday, March 29th, at the Economic and Trade School in Bor. 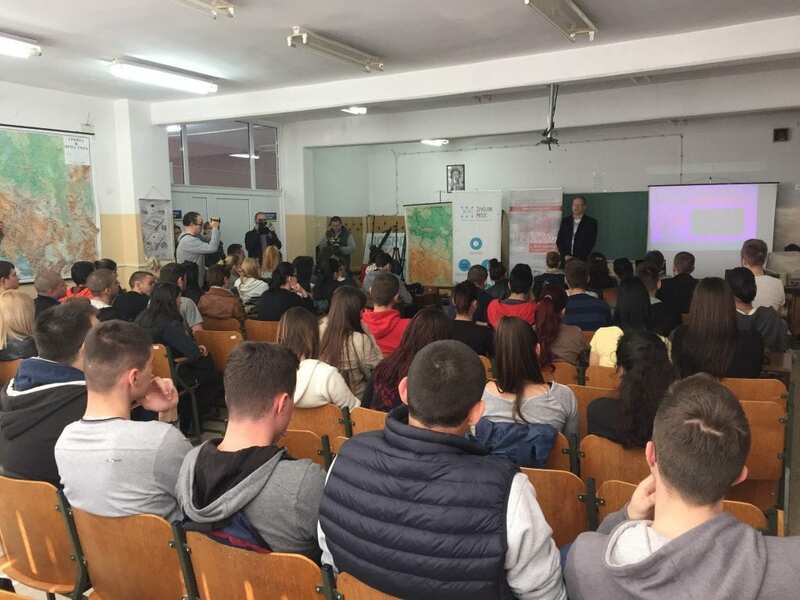 The lecture was attended by students of the Gymnasium "Bora Stanković", students of the Technical, Economic and Trade and Mechanical - Electrical School. On that occasion, they received copies of books for their libraries. 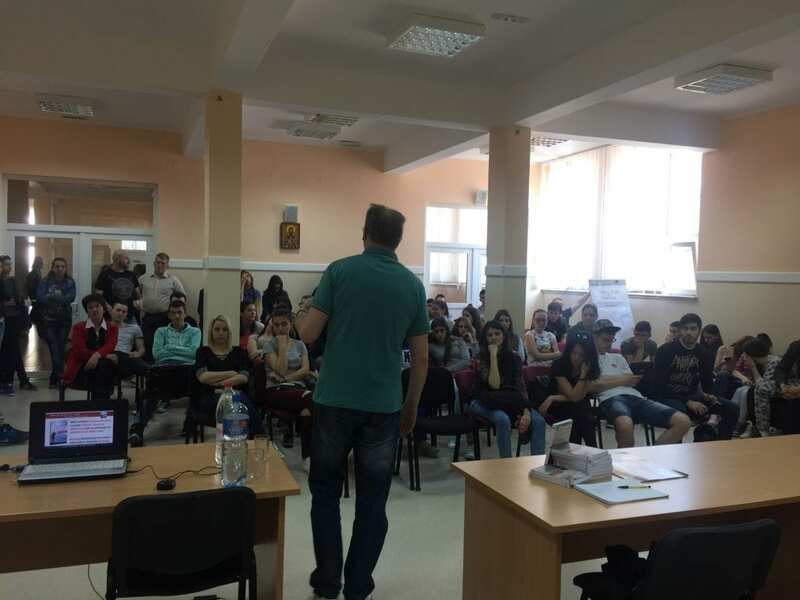 On Friday, March 24th, in the First Grammar School in Kragujevac, a lecture on the topic "How to get a job in the 21st Century + 444 Tips for a successful career" was held. 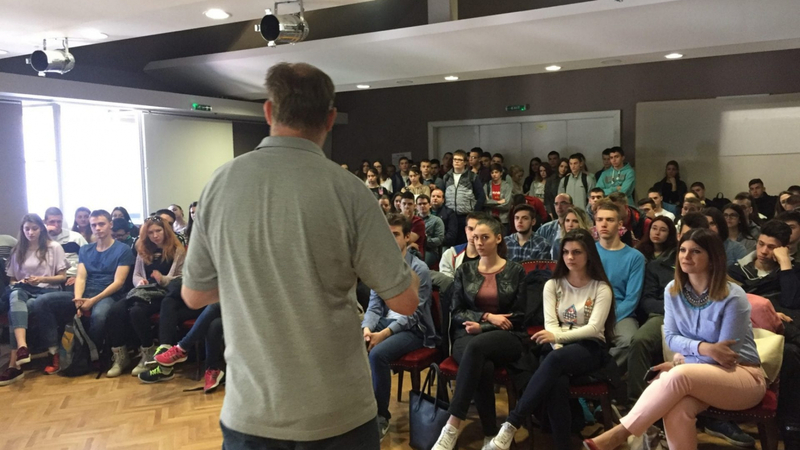 The lecture was attended by high school students from seven Schools from Kragujevac, Batočina and Lapovo. 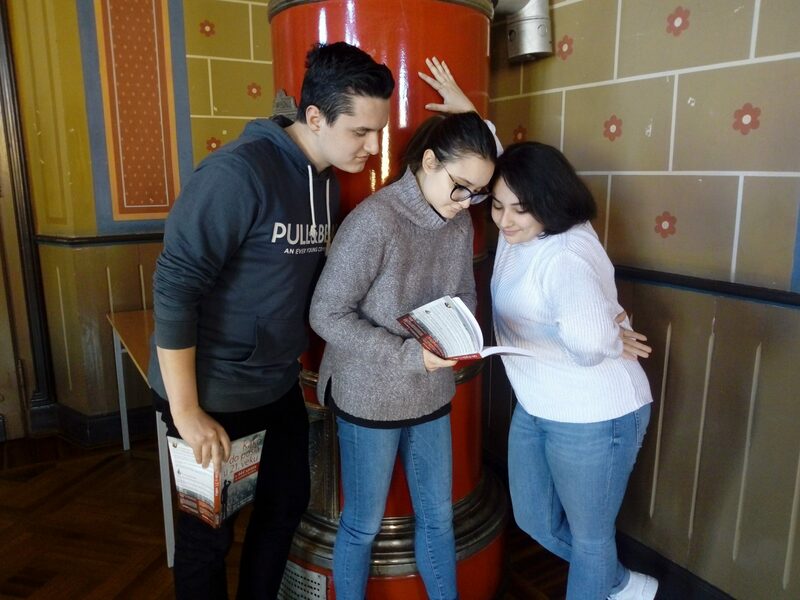 From Friday, School libraries in which books can be found are First Grammar School in Kragujevac, Second Kragujevac High School, Trade and Catering School "Toza Dragović", Polytechnic, First and Second Technical School and Economic. 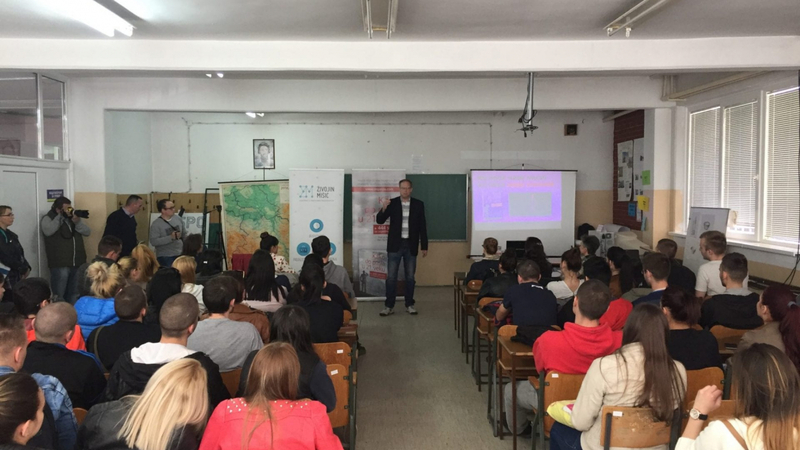 After the lecture by one of the authors of the book, Dragan Varagic, Ružica Petronijević, a native of Rača, also had a speech for a high school students. Now, she has her own blog and is a successful journalist. 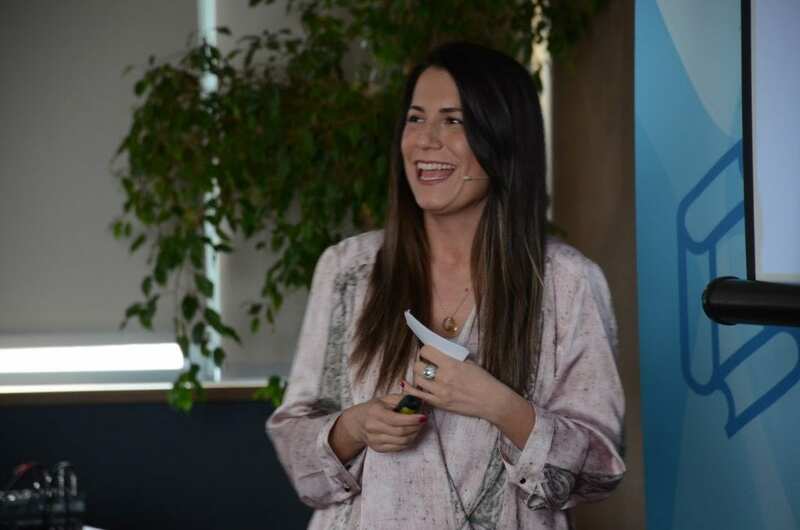 She shared her experiences with them and inspired them to enter into entrepreneurship. 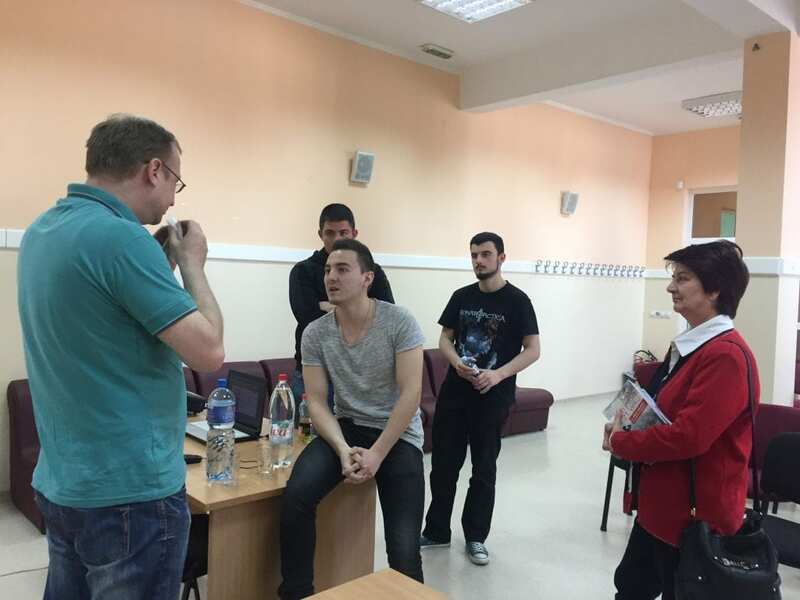 We would like to thank the First Grammar School in Kragujevac on hospitality, the allocated lecture room, as well as the book sharing, and to Biljana Živković, one of the Best Educators in Serbia in 2014 for helping with the organization. 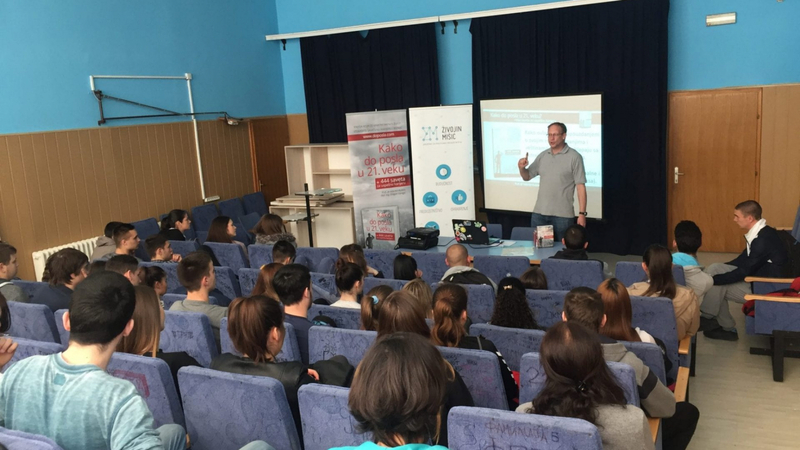 The Economic and Catering School "Slobodan Minić" hosted the lecture "How to get a job in the 21st Century + 444 Tips for a successful career", in Arandjelovac on Friday, March 24th. 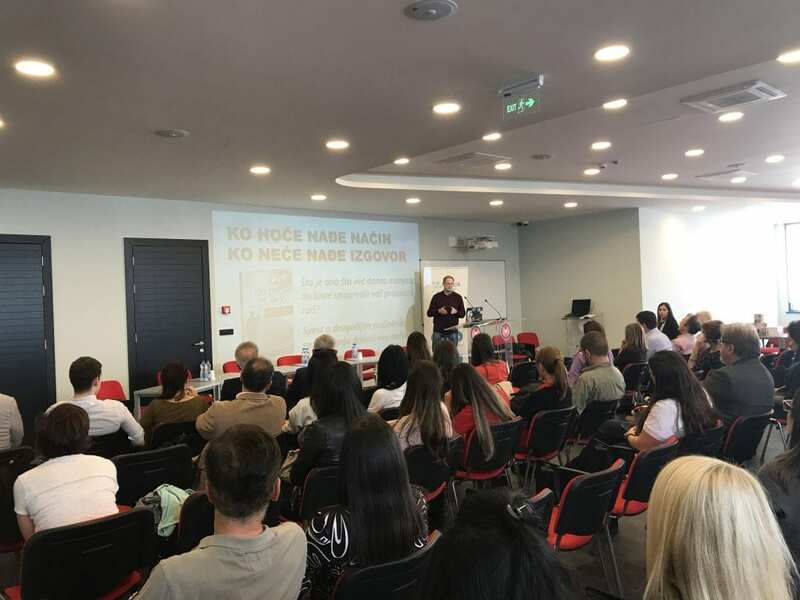 One of the authors of the book, Dragan Varagić, spoke about problems in employment in the 21st century and gave concrete advice and suggestions that can solve these problems. 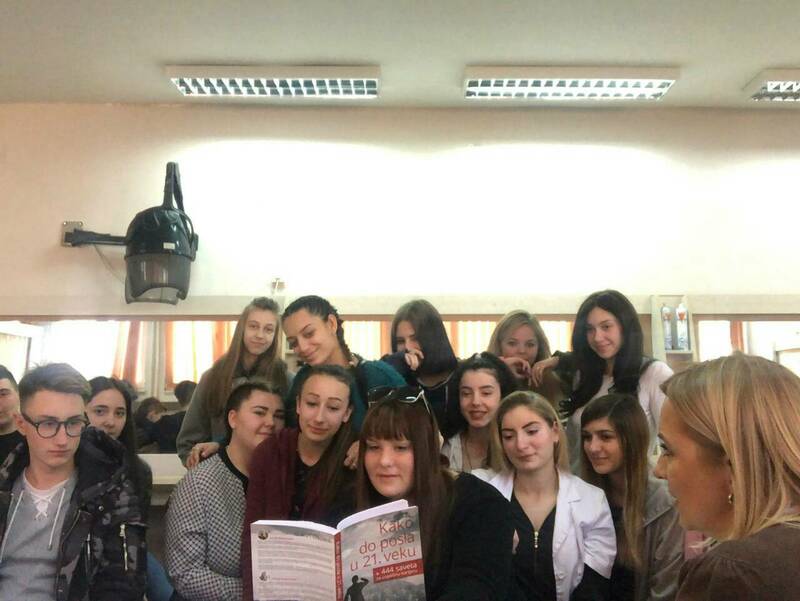 Gymnasium "Milos Savković", "Slobodan Minić" Economic and Catering School, "Mileta Nikolić" Technical School and "Kralj Petar Prvi" high school from Topola, received copies of books for their libraries. We would like to thank the Economic and Catering School on the allocated space for lecturing and sharing of books.